Concordia students will be heading to the polls Nov. 19 to Nov. 21 to beef up the Concordia Student Union Council and to approve or deny a fee levy for the Concordia Food Coalition. With the legal go-ahead from the union’s Judicial Board, undergrads will also get the chance to mandate their union to do something different with the space in the Hall Building mezzanine—specifically, to launch a student-run cooperative café when Java U’s lease expires next semester. The space is leased to Java U by CUSACorp, of which the CSU is the sole shareholder. The JB confirmed the legality of the question on Saturday, referring to article 213 of the Quebec Business Corporations Act, which states a sole shareholder can issue a written declaration binding on the corporation. The ruling also notes the laws of Quebec takes precedence over the union’s standing regulations, which state the CSU must “respect the autonomy” of CUSACorp—wording the JB concluded was ambiguous. In pursuit of an eight-cent per-credit fee levy, the CFC is in full campaign mode—asking for the fee to bring “sustainable, affordable, student-run” food options to Concordia. However, CSU engineering and computer sciences councillor Chuck Wilson feels the CFC is misleading students. He says the group is campaigning as if new food institutions are a guarantee with a “yes” vote from students. “They provide consulting services and help to create such businesses, but are not the actual service providers themselves,” wrote Wilson in an email sent to the student press. CFC member and CSU Arts and Sciences council candidate Gabriel Velasco argues the coalition is the most effective way to see these green goals realized, adding that a long-term group with funding can counter turnover troubles symptomatic of student-led initiatives. “The CFC is an incubator of projects—the idea is that this fund would go into non-profit student-run food options on campus,” said Velasco. Next week’s byelections will also attempt to fill some empty spaces on council after the union suffered seven resignations in two months. Charles Bourassa, Justin Caruso, Shahzad Dal, Youssef Ennajimi, Alexandre Hureau, Majed Jamous, Patricia Martone, Damian Skulic and Velasco are seeking election to one of the four seats available to arts and sciences undergrads. Hoping to represent the John Molson School of Business on council are Kabir Bindra, Maylen Cytryn, Virginia Law, Mohammed Nasser, Soufian El Malki, Ahmed Mustafa, Michael Richardson and Patrick Rivest—all vying for the five available JMSB seats. The three unopposed candidates for ENCS—Alaa Ajam, Kyle Arseneau and Ahmad Choukair—need only the quorum of 450 voters in order to be elected. “Last year we made quorum by something absurd, by like eight votes,” said Chief Electoral Officer Andre-Marcel Baril of last November’s byelections, which he did not preside over. Even after next week’s byelections the three seats for fine arts students will remain empty, the faculty having no representation on council for over a year. Independent students will also continue to have no representation. Not a single fine arts student ran for council in these byelections or in last spring’s general elections, despite the cohort having the highest proportional voter turnout last year. “There’s a pretty big distinction between people that are eager enough to be councillors, and people that are just willing to sacrifice 10 minutes of their time to write down a vote,” said Baril. 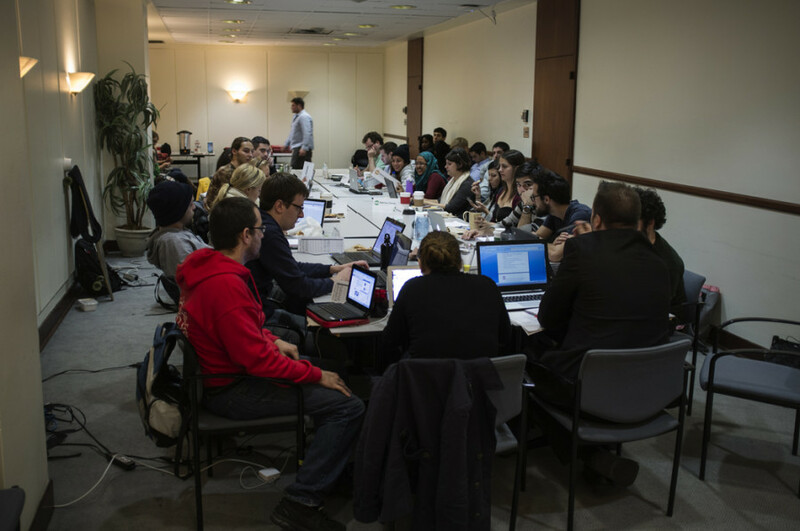 Students will additionally be asked to approve a change to the CSU letters patent to increase the value of immovable properties owned or held by the union from $2 million to $50 million, and to approve the change of the CSU’s name in French from l’Union étudiante de Concordia to Syndicat des étudiants et étudiantes de Concordia. The union is also requesting authorization to collect members’ student numbers to verify their status, instead of needing to go through the Dean of Students Office to do so.